As the UK’s anaerobic digestion and biogas industry continues to bloom, so too does Combined Heat and Power. 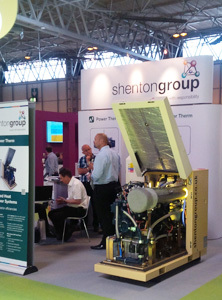 Andover-based shentongroup will be demonstrating to attendees of this years UK AD & World Biogas Expo how they can generate cheaper, greener electricity from biogas, whilst producing large volumes of hot water for cleaning and heating. Taking place over 11th and 12th July at Birmingham’s N.E.C., UK AD & World Biogas Expo 18 will bring together scores of professionals keen to learn about market news, policy and regulations, and to find out about the latest anaerobic digestion and biogas trends and developments. From Stand J101, shentongroup, the UK’s leading technical experts in standby power, uninterruptible power supplies and combined heat & power systems will be liaising with attendees, showing how biogas is a viable fuel when used in tandem with Combined Heat and Power (CHP) systems. 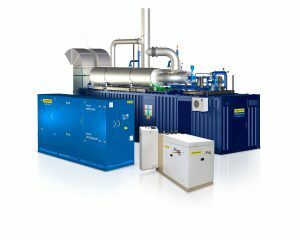 As the sole UK and Ireland distributor of Tedom CHP systems, shentongroup provides a range of Tedom units that operate on this increasingly adopted, greener and cheaper fuel. shentongroup Brand Ambassador, Nicole Wells explained shentongroup’s pivotal role in generating power from biogas and the company’s involvement with UK AD & World Biogas Expo: “The shentongroup CHP team has been attending UK AD and World Biogas for a number of years now. As more and more organisations switch onto the benefits of this exciting, greener fuel, shentongroup is proud to be able to provide them with cogeneration solutions that run on biogas, driving down their costs and reducing their carbon emissions”. the increasing rise of biogas, Nicole added: “With the number of anaerobic digesters in the UK forecast to rise, shentongroup will continue to expand it’s range and availability of biogas-powered CHP systems. Specifiers and developers can learn more about Combined Heat and Power by reading shentongroup’s whitepaper entitled ‘When is CHP the right renewable energy choice?” (In order to ensure they get all of the information they need, visitors are encouraged to secure their very own time slot with a shentongroup CHP expert by visiting www.shentongroup.co.uk”.